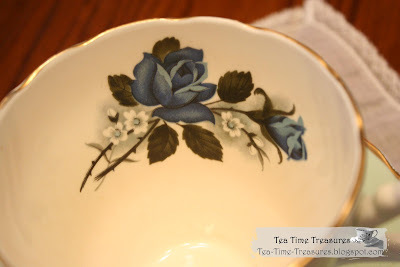 Then on the inside there is the beautiful blue rose! 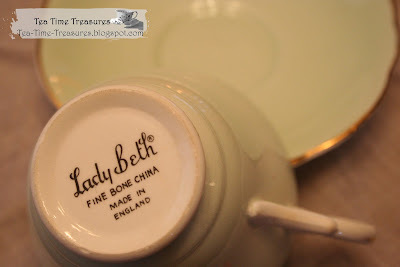 This is my first tea cup by Lady Beth in my collection. 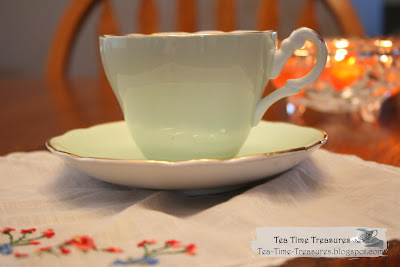 I just found your blog as I was looking for info on Salisbury teacups I bought last weekend. I believe I'll spend long minutes watching your beautiful teacups! Thank you for your kind comment. Hope you enjoy looking through my blog!